If you are on holiday or an expatriate in Thailand and die while in Thailand normally your embassy in Bangkok will assist your family in returning your body back to your home country. This is rather costly and most people op on having a cremation done in Thailand and taking the ashes back home for a formal funeral. Should a relative of yours die while in Thailand, Immigration has provided the following procedures for foreigners to follow in order to repatriate the mortal remains of the relative. Normally your embassy would do most of the work as it needs a death certificate for the person and all members of the family need to be notified. 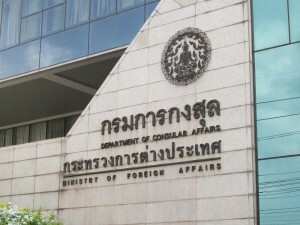 This is what the embassy is in Thailand for and this is called consular assistance. The following would be what is needed if a death occurs in Thailand. It is much easier to hand the documents to your embassy if they have not collected it themselves already. Let the embassy manage the reporting to immigration and obtain all the needed certificates as required. As stated above the embassy will more likely than not give you the advice of a cremation in Thailand in order to save costs as it is very expensive to transfer a body out of Thailand to your home country. If you are needing legal advice then speak to our lawyers in Thailand for advice on how best to manage the repatriation and the estate planning if you are planning on selling all the property or assets in Thailand after the death.